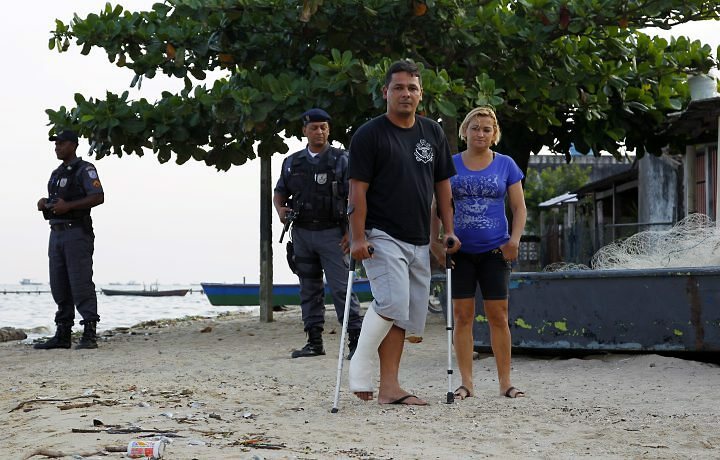 Members of Associação Homens do Mar da Baía de Guanabara (AHOMAR) a union of around 700 fishermen and their families provided the following comments in response to the Petrobras claims of regular meetings. President of AHOMAR, Alexandre Anderson, says “There is no dialogue between Petrobras and the fishing communities affected by it. Instead we only see threats and violence. Today we are victims of a new modality that Petrobras and major contractors has been promoting in Rio de Janeiro, which is the practice of “social exclusion”! Mr Anderson also suggests Petrobras provides no compensation for the damage it causes, uses physical and psychological threats against local opposition and does not respect the laws of the country. Amnesty International has taken up the case of the fishermen after the Treasurer of their association was assassinated in 2009 in front of his wife and children. Paulo César dos Santos Souza was beaten in his home in Magé by armed men who then dragged him outside and shot him five times in the head. A few hours earlier armed men threatened the protesting fishermen at the Petrobras pipeline worksite. Before they killed Santos Souza they interrogated him, asking him about documents belonging to AHOMAR. Alexandre Anderson himself has escaped eight attempts on his life and has been hit by gunfire but has survived to date. Two of the gunmen have been caught and at least one admitted his connection to Petrobras and its contractors. Mr Anderson claims that often the gunmen are off-duty Police as the work pays well and even where there is an investigation very rarely is anyone prosecuted. If Petrobras have them, perhaps they can provide us with more details on their “regular dialogue” including copies of minutes including dates, locations, people present, issues discussed and outcomes achieved from the monthly meetings they claim take place between their company and the fishermen of Guanabara Bay. There are some 50 areas of conflict between Petrobras and indigenous communities in Brazil and the connections between these communities and East Coast communities are strengthening every day.